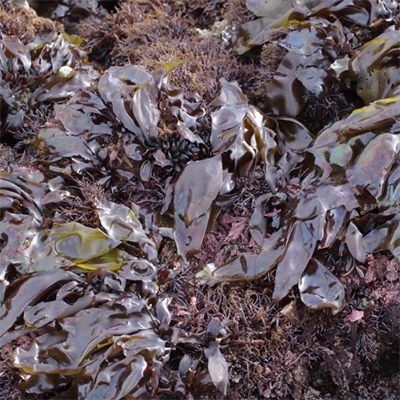 When submerged Iradaea’s long iridescent blades appear dark bluish-purple and covered with oild along the rocky intertidal area forming bands. It can also grow with suitable habitat and water conditions down to 20 meters in the subtidal zone. One of the larger species in the Pacific Northwest producing carrageenan.